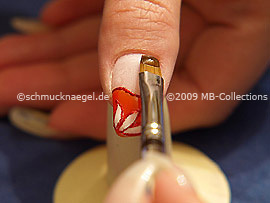 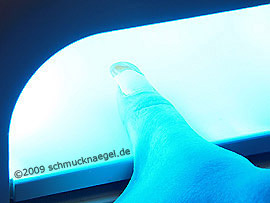 Fingernail motif with uv colour gel – Step by step instruction with pictures. 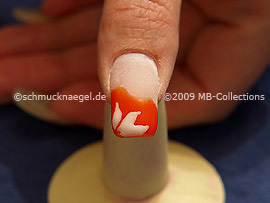 Dip the spot-swirl somewhat into the colour gel in orange. 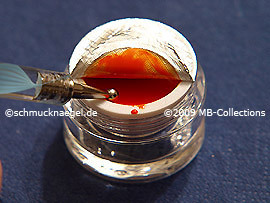 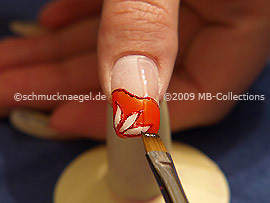 Begin on the left edge of the fingernail and draw with the colour gel in orange a swung line. 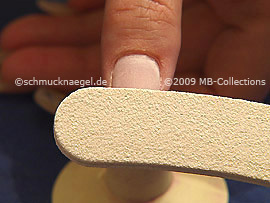 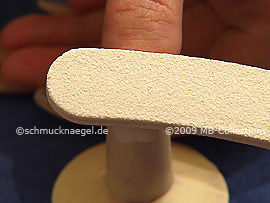 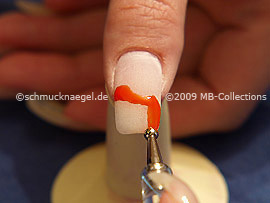 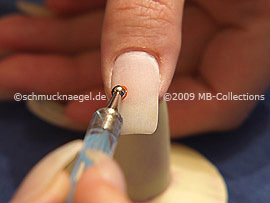 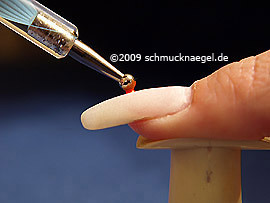 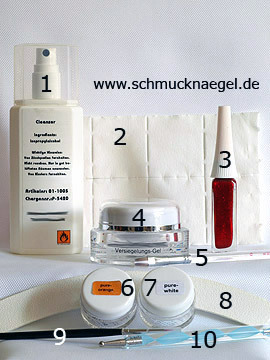 Now paint the lower side of the fingernail with the colour gel in orange, as left in the pictures shown. 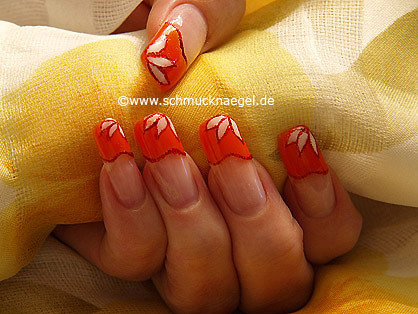 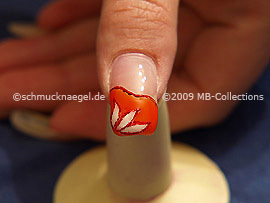 Draw three petals on the colour gel in orange. 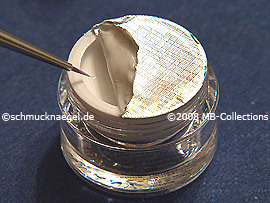 Now fill out the inner surfaces of the petals with the colour gel in white, as left in the pictures shown. 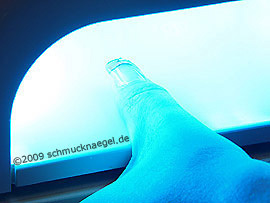 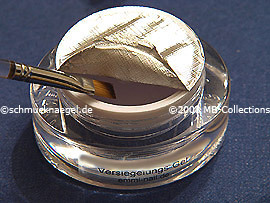 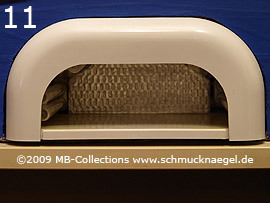 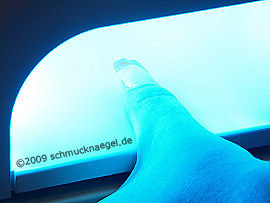 The fingernail motif with uv colour gel should correspond approximately to the picture. 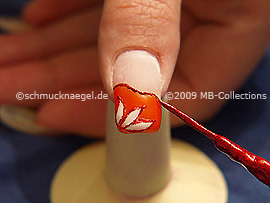 Border with the nail art liner in the colour red-glitter the petals, which you have drawn before. 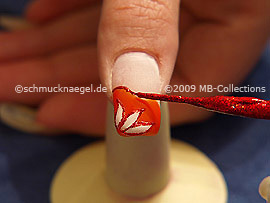 Now draw with the nail art liner in the colour red-glitter a line at the transition of the free fingernail surface and the colour gel in orange. Fingernail motif with uv colour gel was last modified: November 22nd, 2016 by Make it Smart e.K.